Planning a program (meetings, incentives, conferences, events) takes a lot of time, organization, negotiation skills, and attention to detail. 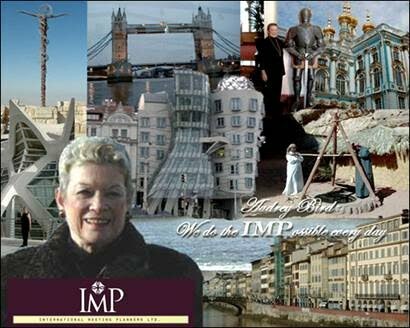 International Meeting Planners has the experience and professional connections to make all of your events a success. These individuals share the same values and philosophy and will form working teams when so required or offer their own business-to-business services.